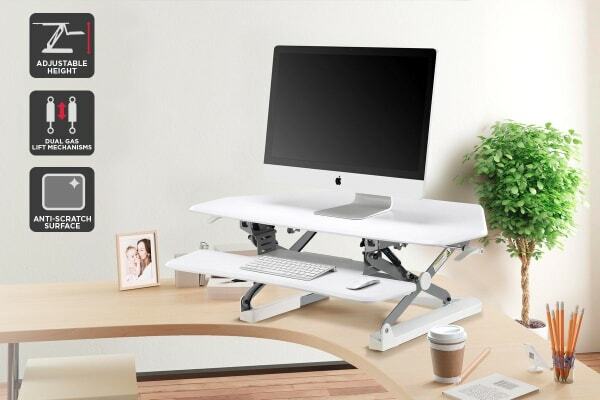 Ergonomically designed with your health in mind, the Ergolux Corner Height Adjustable Sit Stand Desk Riser sits on top of your existing desk and can be raised or lowered in seconds. Even easier to move up and down – transition with only one lever! 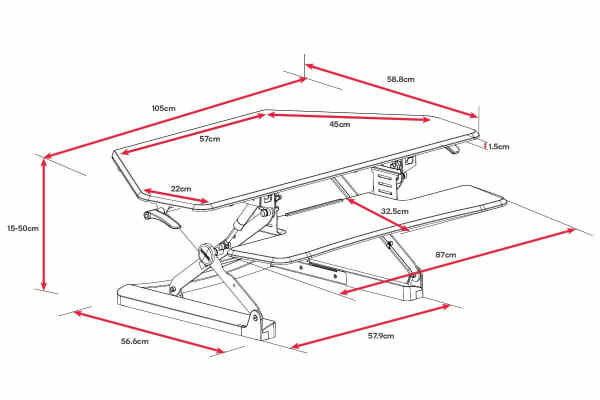 With the Ergolux Corner Height Adjustable Sit Stand Desk Riser you can get your work done without impacting your wellbeing. Worried about sore knees and ankles? Pair with a Standing Mat for added comfort. Will standing at work be a difficult adjustment? 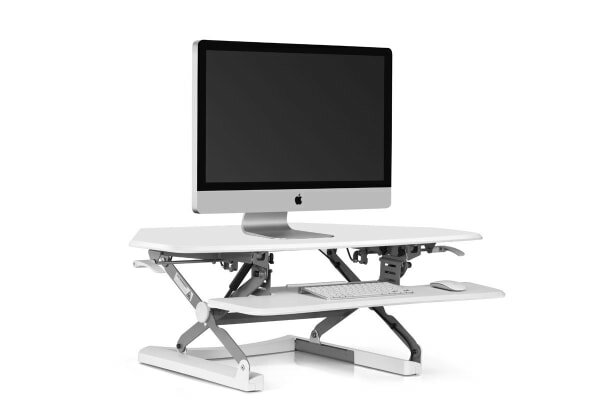 The Ergolux Corner Height Adjustable Sit Stand Desk Riser sits on top of your existing desk, and the flat surface has plenty of room for your monitor, keyboard, mouse, notepad, phone and more. The gas lift mechanism lets you raise and lower your desk in seconds with almost no effort and the height adjustment lets you find the perfect level for you, making the transition from sitting to standing a breeze. What’s wrong with just sitting at my desk? New research has shown that sitting at a desk for a prolonged period of time can lead to a number of health problems. Poor posture, back pain and increased risk of weight gain and obesity have all been linked to sitting too much at work. By standing up at your desk for longer, you can burn more calories, straighten out your back, and help your body feel less sluggish by exerting extra energy. Standing desks have even been linked to increased productivity, with studies showing that those who stand for longer have improved concentration and heightened mood. You may also be interested in the Ergolux Pro Standing Stool and Ultra-supportive Standing Mat to compliment your standing desk purchase.